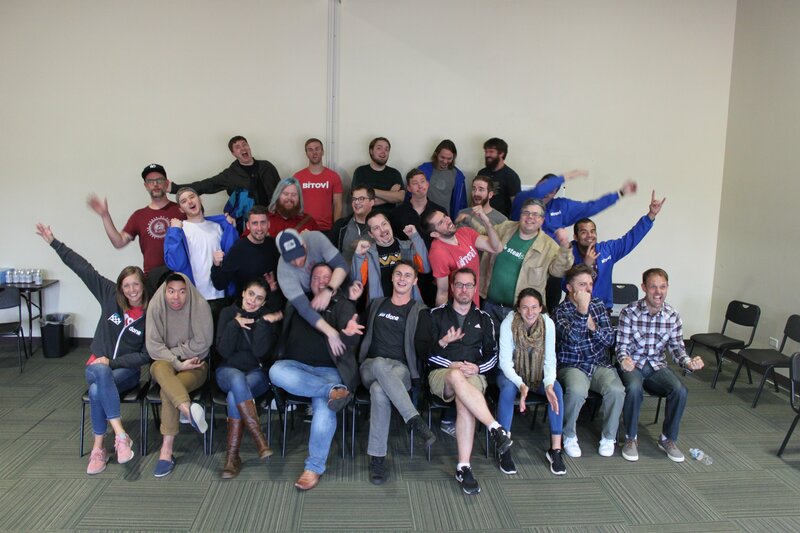 Everyone at Bitovi works from home, so each year we all get together for a week-long company retreat in a new city. 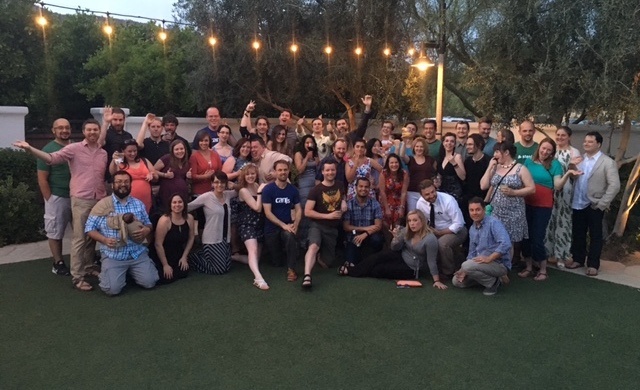 We’ve visited cities such as New Orleans, Las Vegas, and Austin, so this year we held our retreat in beautiful Phoenix, Arizona! 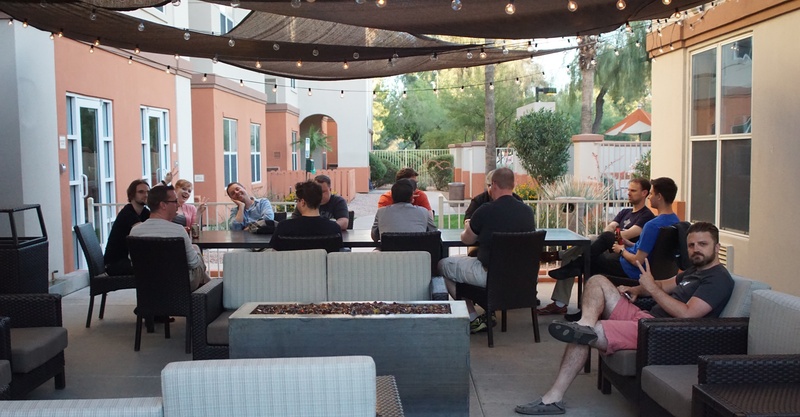 Everyone at Bitovi works from home, so each year we all get together for a week-long company retreat in a new city. 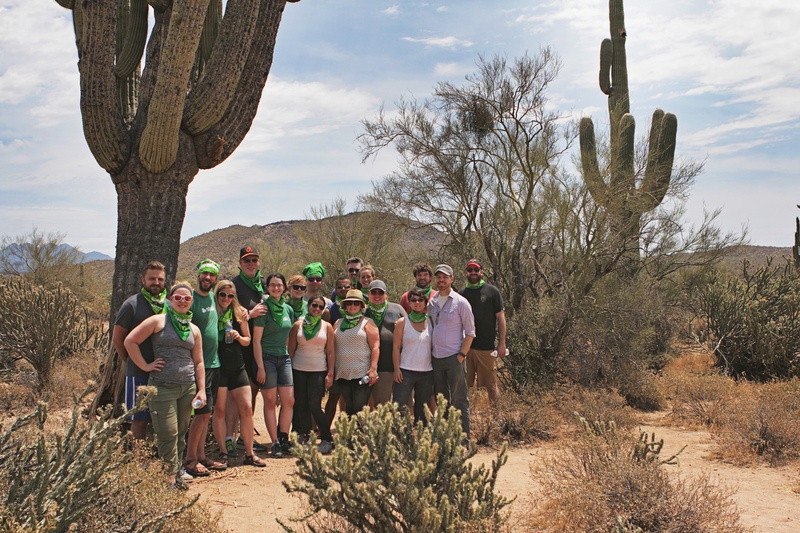 We’ve visited places such as New Orleans, Las Vegas, and Austin, so this year we held our retreat in beautiful Phoenix, Arizona! We had an entire week together to collaborate on client work, explore new ideas for the company, and kick off our shoes to enjoy the same location. At the beginning of the week, Bitovians traveled from all over North and South America: Chicago, Santiago, and Vancouver, just to name a few cities. We spent our first two days focused on client work, then took the rest of the week to focus on improving Bitovi and ourselves. 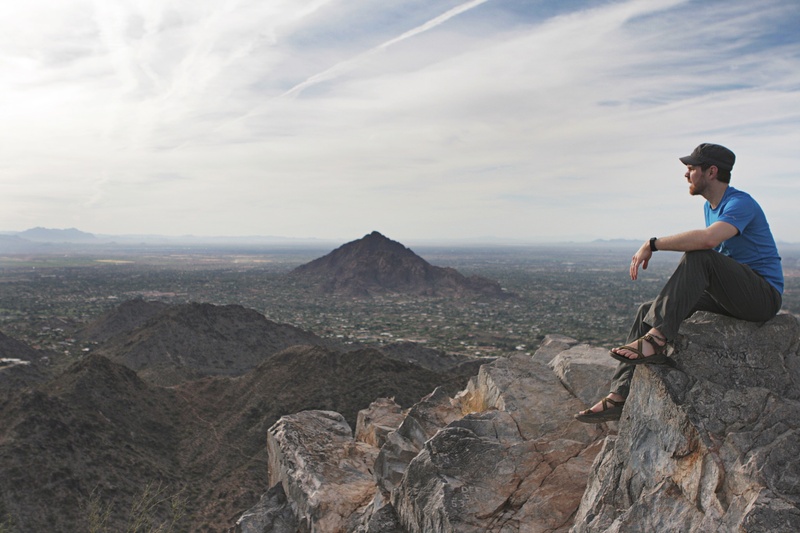 At the end of the week, our significant others joined us for the weekend to enjoy the sights and sounds of Phoenix. We spent our first two days focused on client work. Since we all work remote, it’s nice to have some real face-to-face time and be able to collaborate in the same room. It’s nice to work from home and not have people walk up to your desk to interrupt you, but it can be helpful to chat more informally in person about projects, tech, etc. 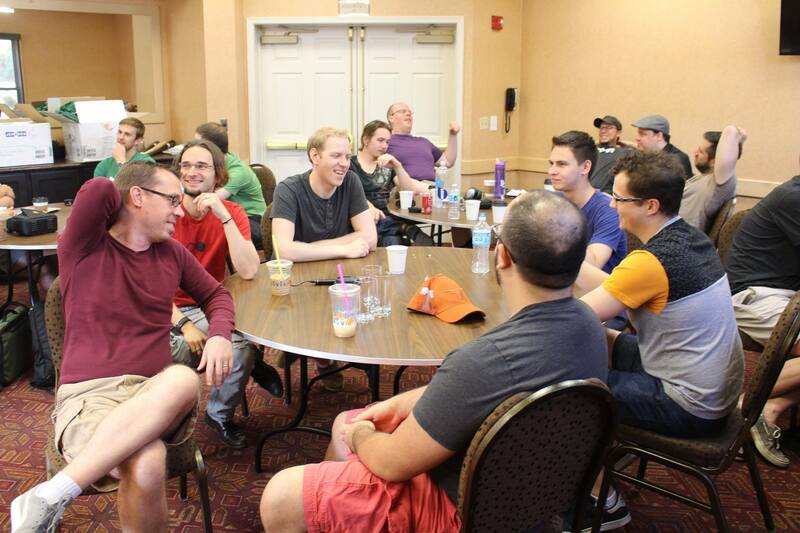 We use our retreats as a time to look at not only what’s going well within the company but also what we can improve. When we identify things that we can improve, we use small teams (of smart people!) to brainstorm ways we can make meaningful change and execute on our ideas. This retreat, one group started a new company-wide policy to clearly define how we wanted to encourage extracurricular contributions. Previously, we encouraged everyone to work on open source in their own time, but during our retreat we were able to create new policy that allowed every Bitovian to contribute to open source weekly (and get paid for it!). 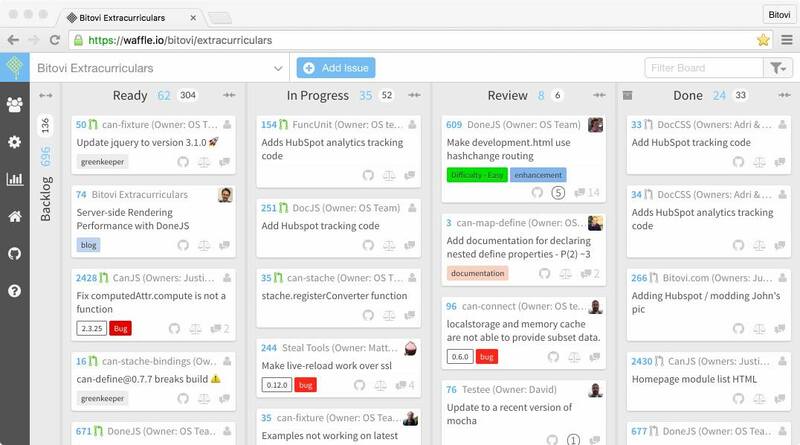 To help Bitovians find extracurricular work, we made a Waffle.io board that pulls in issues from all of our repos (including ones that contain issue for non-open source work like blog posts!). We think this is going to make a big difference in surfacing easy tasks for Bitovians to pick up when they to work on extracurriculars. After a couple days of client work, we turned to improving ourselves and the team. 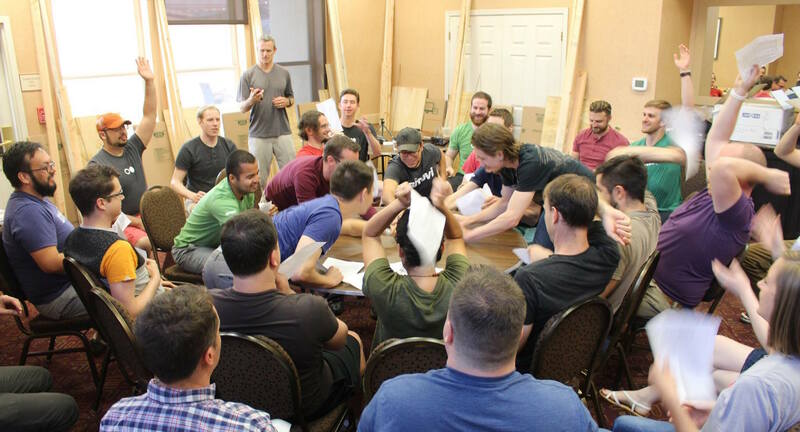 What’s the most efficient way to distribute 28 pieces of paper to 28 people sitting in chairs? We learned as much about ourselves and teamwork as we did the physical constraints of paper distribution. We also built our own cars! We were given an hour to come up with a car idea, 30-second commercial, and build our car for a series of races. 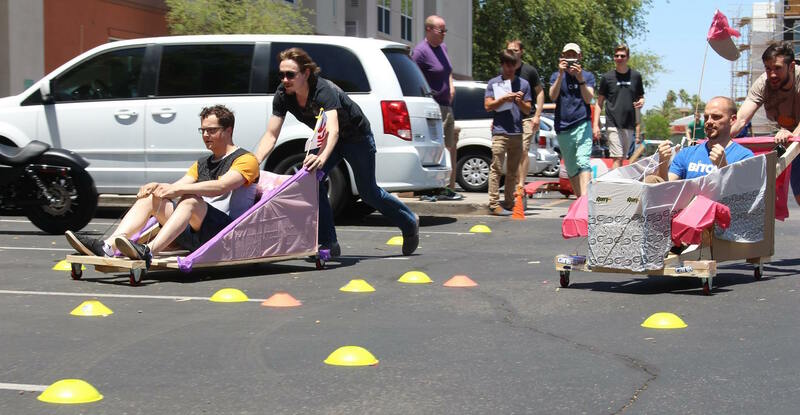 It was challenging to build the cars in such a limited amount of time, but it was a really fun way of seeing everyone show off their talents in designing, building, and marketing the cars. After racing cars, we got together to work on our presentation skills. In teams of two, we tackled various technical topics and created five-minute lightning presentations for the whole group. Everyone got a chance to practice their presentation skills and now we have a bunch of different lightning presentations that anyone can present at a local Meetup. Look for more DoneJS talks near you soon! When Friday rolled around, our significant others flew into town and joined us for a weekend full of adventure! 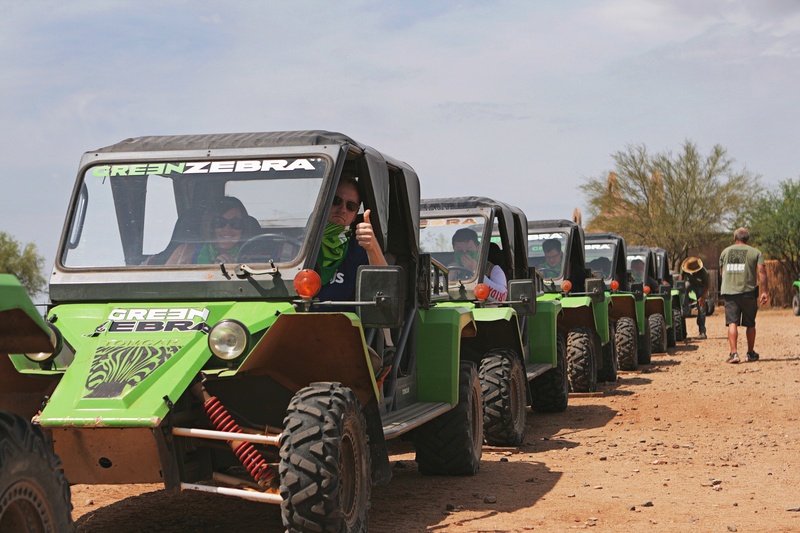 On Saturday morning, we took to where the Saguaro cactus grow and rode All-Terrain Vehicles (ATVs). With some help from our tour guides, we explored the local flora and fauna. Sometimes it’s nice to blow off a little steam and have some fun with a good ol’ printer bash. We found a cheap printer on Craigslist and recreated the classic printer scene from Office Space. We love being a remote company. It brings some challenges, but it helps us get the best people and let them choose where they want to enjoy life. Getting together a few times a year helps us become a closer-knit team, which is why I’m excited for our next retreat in Chicago. 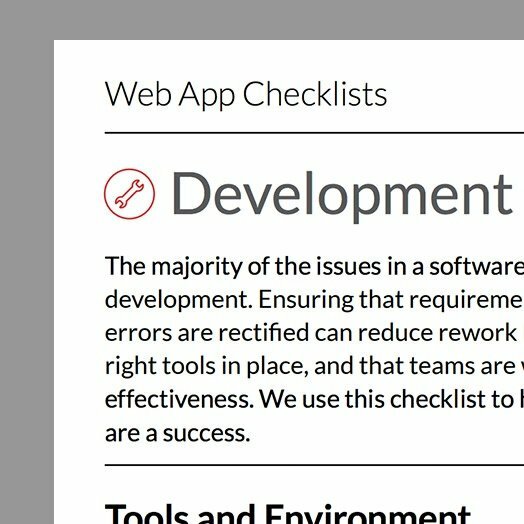 Bitovi’s core mission is simple: deliver amazing applications.